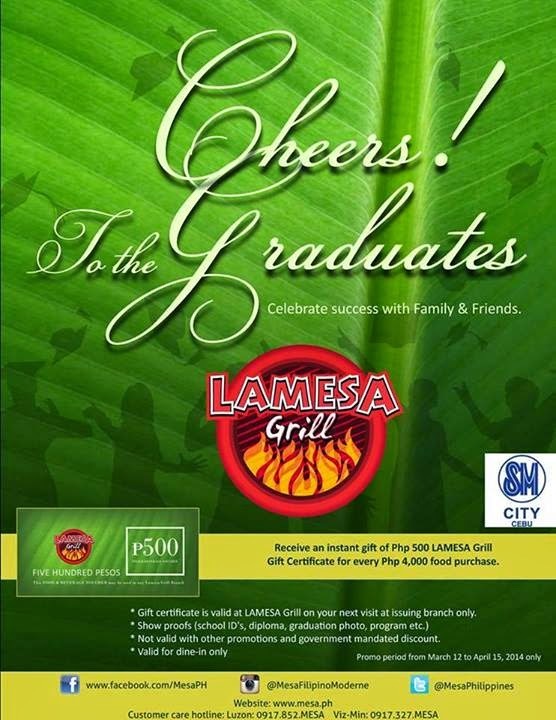 Celebrate success with family and friends at the La Mesa Grill in SM City Cebu. Get an instant PhP500 gift certificate for every food purchase of PhP4000.00 (*Terms and Conditions apply). - You must present a proof of identification such as School ID's, diploma, graduation photo, program, etc. - This is not valid in conjunction with other promotions and government mandated discount.